Macworld Magazine today published my full review of Lightroom 4, which is now available for $149. Here are my pros and cons from that article. As you can see, the pros definitely outweigh the cons with this latest release. It's a good value for the dollar. You can tell that Apple worked hard to bring iPhoto to the iPad. It's designed from the ground up, and is a joy to use. To help you get started, here are a few tips. We often shy away from Help because it takes us out of the app and usually down a rabbit hole. 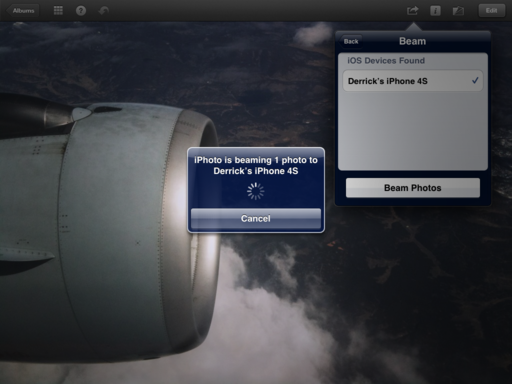 But the Help for iPhoto is much better. On any given screen, tap the Question Mark in the upper left corner, and you'll get labels for all of the tools on that screen. Use this frequently in the beginning, and you'll get comfortable with the app much faster. I love that you don't need a stylus to work on an iPad. But iPhoto is one of those apps where you'll enjoy having one. Working with the brushes is a great example. You can lighten, darken, sharpen, and do just about anything else with great precision. Using a stylus is not only more accurate, it's fun. And you can get them for just a few bucks. I don't think I've heard the phrase, "Beam that to me" since the Palm Pilot days. But it's back. 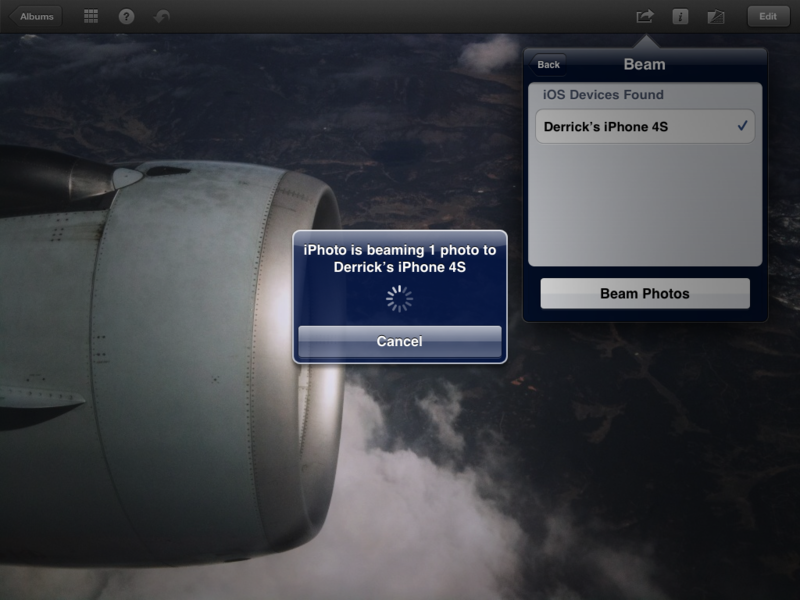 And if you have iPhoto loaded on another iOS device, you can "beam" photos back and forth to their libraries. I prefer to work on images on the iPad where I have more real estate, but then I do want some of them on my iPhone 4S for immediate sharing with others, since I always have my iPhone in my pocket. To beam, just go to the Share menu and choose Beam. Once you've edited a photo and decide you really like it, save it to your Camera Roll (once again using the Share menu). Your Camera Roll is the image database for your iPad that allows other applications to access those pictures. 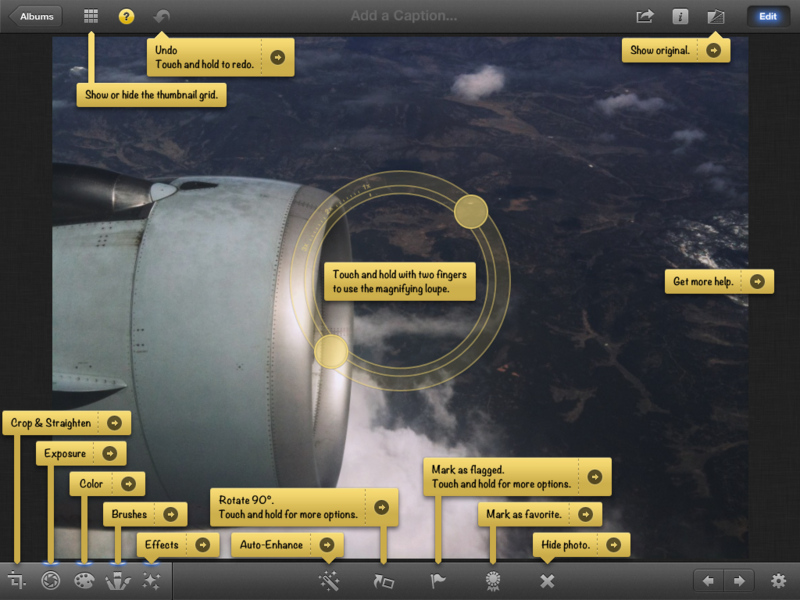 If you save important shots to Camera Roll right away, they will be available to you in Keynote, Pages, etc. You'll be glad you did this when you're jamming to finish a presentation. This is an innovative way to share a collection of images with others. Instead of sending an email attachment with a dozen photos, create and publish a journal. 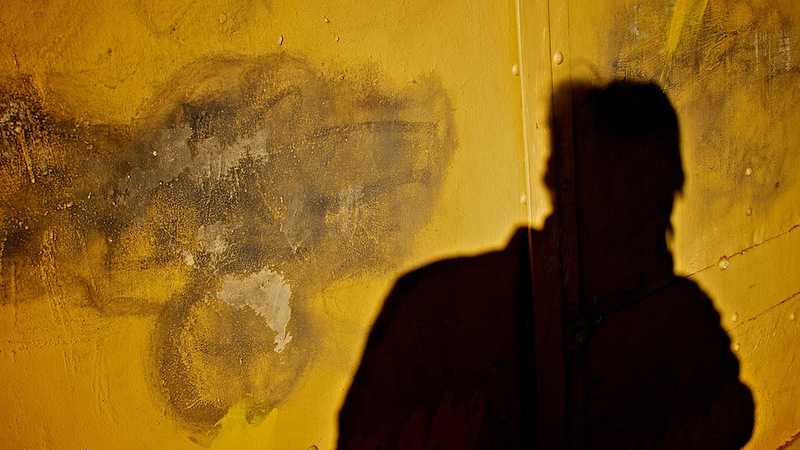 I began by flagging a handful of images that will be part of my journal. Then go to the Share menu, and choose Journal. One of the options will be your Flagged photos. You can then choose a design and add all sorts of goodies, such as quotes, map, etc. Once you've finished, go to Share and choose iCloud. iPhoto will store your journal there, and give you the options to email mail it (Tell a Friend) or view it in Safari. The recipient gets a beautiful overview page, and then can enjoy each photo individually. Here's a basic Sample Journal that you can view. 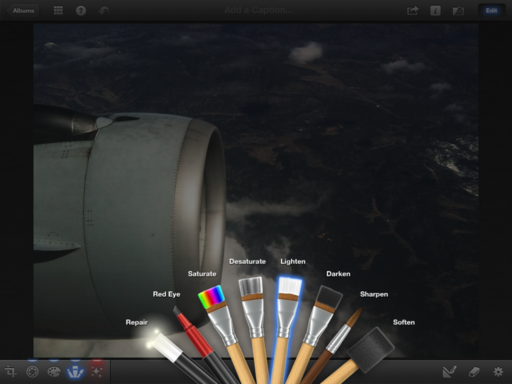 iPhoto for iPad works great on iPad 2, and it should be even more beautiful on iPad 3. Make sure you upgrade to iOS 5.1 before purchasing. It's available in the App Store for $4.99. Working with off-camera flash doesn't have to be expensive. Yes, we see wireless flash systems that cost $1,000 and up, but you don't need those for professional results. Photographers Ed Shields and Ernesto Pono work with model Ashley Tuttle during the TDS Off-Camera Flash workshop. During the recent TDS Off-Camera Flash Workshop, I showed participants how to put their old flash units to works using affordable gear such as the triple shoe adapter and a soft box. You'd be surprised how often you don't need automated flash. In a home studio, for example, all you have to do is figure out the aperture setting for a flash set in manual mode. That usually takes about 3 shots. Once you see what you like on the LCD, you're set. I'm using my old Sunpak 283 flashes that have manual output settings, such as full, half, one quarter, etc. By putting one or two of these on a triple shoe in a soft box, I can lower their output to one-half, still get the light I need, but enjoy faster recycling times. If we add a hair light or background light, we don't have to worry about those messing up the ETTL flash readings - because we're in manual mode. To tell you the truth, there are many situations where manual flash is actually easier. The next TDS workshop is on Close Up Photography on April 21 and 22 in Santa Rosa, CA. I have lots of creative techniques to share for lighting and composition. You can get more information by using the Send Me Info box on the workshops page. Also, don't forget about my lynda.com online training, Off-Camera Flash. I provide an overview of the basic gear and techniques that will help you get professional results, even on a hobbyist's budget. There's plenty to play with in Adobe Photoshop Lightroom 4 with new features such as the book layout tool, video management, and geotagging. But the things I like best about this release are more subtle. At the top of the list is the overhaul of the Basic panel in the Develop Module. Image editing has always been a strength of Lightoom, and they've improved both the usability and the technology under the hood for this release. Making your pictures look great is easier than ever. A really cool addition is the option to add lossy compression to DNG conversion. The image degradation is virtually unnoticeable, but the file savings are substantial. So if you have 30 shots of a wide receiver catching a football, you can compress the 27 that aren't the picks, and still keep them in your catalog. Soft proofing is a handy tool to have when you need it. Sometimes I prefer the wilder approach to my printing and don't need soft proofing. But for those jobs where I do have to precisely manage color, it's good to have. And believe it or not, I'm very happy about the email integration. Seems like we should have had that long time ago. Regardless, it's well implemented, and we have it now. And finally, I love the price reduction. 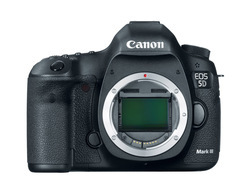 $149 for full copy; $79 for an upgrade. That is a lot of software for the money. Just in case you're wondering what I'm not as crazy about... Well, I don't think the video features are fully baked (cannot attach snippets together!) and the Map module seems a little basic. But what the heck. I'm not thinking Lightroom for video anyway. 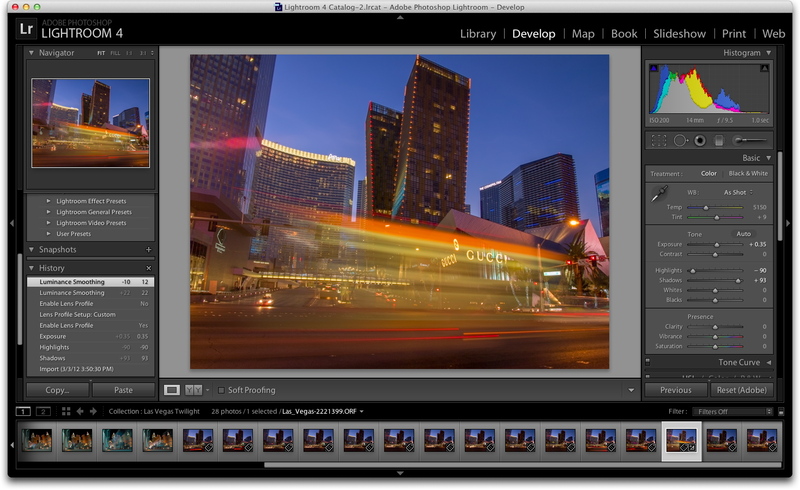 Overall, I give Lightroom 4 a big thumbs up. Good tools and great value. It's rare when all of the hosts on TWiP agree on anything, but we all wanted to choose Camera Awesome as our pick of the week last week. Why? 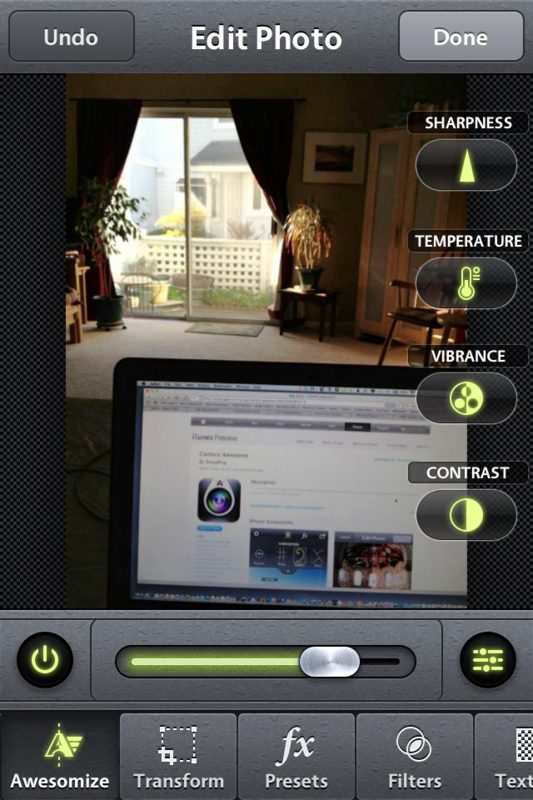 In short, if you have an iPhone 4/4S, this app brings it very close to being a great compact camera. Camera Awesome (by the cool folks at SmugMug) has three basic modes: shooting, editing, and sharing. In shooting mode you have a number of helpful controls including burst rate, IS, self timer, interval timer, level adjustment, grid lines, and more. 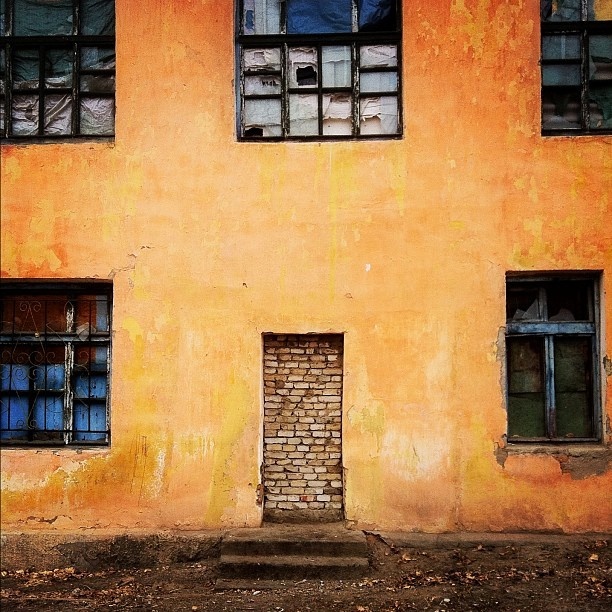 One of its best tricks is allowing you to focus and expose on different parts of the composition. For example, when in Single Shot mode, tap the frame and you'll see a blue circle inside a green box. You can move this anywhere around on the frame and the camera will focus and expose based on where you place the target. Now, pinch open on the target, and you can separate the "blue circle expose" from the "green box focus" and work with those points independently. If you decide you want to return to something more simple, click on the triangle pop up menu, and choose Big Button. Now you just have to tap the screen to take a picture. Want to go back? Chose Single Shot and get the focus/exposure target. When it's time to edit, tap on the photo box in the lower left corner. Click on the Magic Wand icon and start with the "Awesomize" filter. In most cases, that's all you'll need. 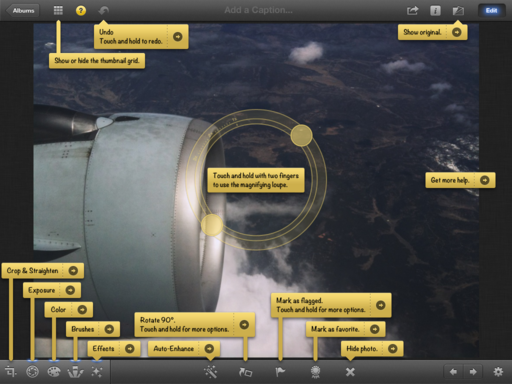 But there are tons of other editing controls included. 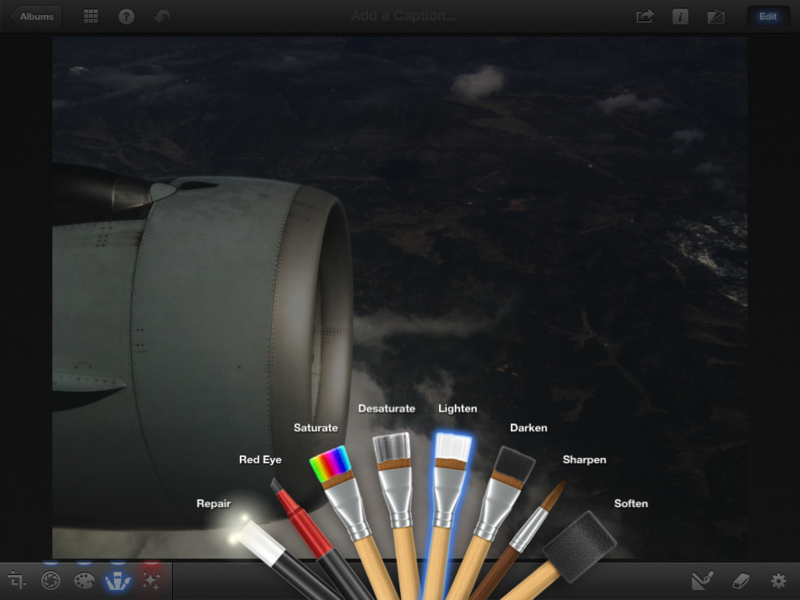 And if you need more, Camera Awesome offers "in-app" purchases for additional tools. Now, it's time to share your image with the world. You'd think that SmugMug would be the only option. It's not. You can set up Facebook, Twitter, Flickr, Picasa, Photobucket, Email, and of course, SmugMug. Hats off guys! There are plenty of other features too, that I don't have time for here, that you should explore once you download the app. 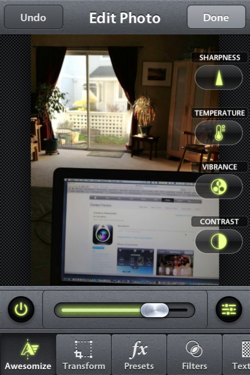 Camera Awesome is available in the App Store for free. Even if you go crazy with the in-app purchases, you'll still only spend a couple bucks. I've replaced my Apple Camera app with Camera Awesome on my home page. The only thing I wish it could do is become my default camera when I double-push the home button. I guess Apple would have something to say about that. 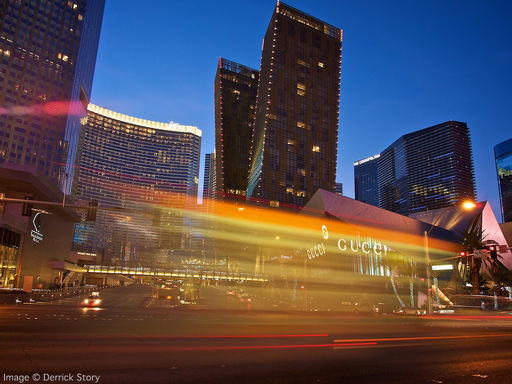 Is 1 Second the Perfect Long Exposure? When I review my twilight shots that blur motion, it's amazing how often the ones I like best were exposed at 1 second. "Las Vegas Blur" photo by Derrick Story. What's even more curious, is that I'm usually controlling the settings with Aperture Priority, not Shutter Priority. I do this typically because I'm figuring how much depth of field I want. But when I review the metadata for the shots (don't you just love metadata! ), the cool exposures are often around 1 second. This has often held true for waterfalls and other motion shots. And I'm beginning to think, maybe I should switch to Shutter Priority?